[Portrait of Hostetler family of blind musicians], [ca. 1866]. http://commontouch.librarycompany.org/wp-content/uploads/2016/03/CommonTouch300-1.png 0 0 touch1 http://commontouch.librarycompany.org/wp-content/uploads/2016/03/CommonTouch300-1.png touch12015-04-07 13:32:582015-06-05 15:59:29[Portrait of Hostetler family of blind musicians], [ca. 1866]. 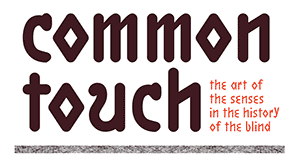 Common Touch Catalog Coming Soon!